Thermoelectrics plays an important role in energy conversion and electronic temperature control. The book comprehensively covers the basic physical principles of thermoelectrics as well as recent developments and design strategies of materials and devices. The book is divided into two sections: the first section is concerned with design and begins with an introduction to the fast developing and multidisciplinary field of thermoelectrics. This section also covers thermoelectric generators and coolers (refrigerators) before examining optimal design with dimensional analysis. A number of applications are considered, including solar thermoelectric generators, thermoelectric air conditioners and refrigerators, thermoelectric coolers for electronic devices, thermoelectric compact heat exchangers, and biomedical thermoelectric energy harvesting systems. The second section focuses on materials, and covers the physics of electrons and phonons, theoretical modeling of thermoelectric transport properties, thermoelectric materials, and nanostructures. Provides an introduction to a fast developing and interdisciplinary field. Offers a platform for advanced study. 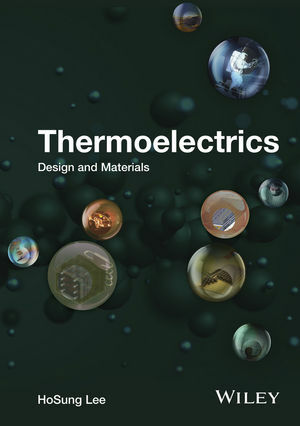 Thermoelectrics: Design and Materials is a comprehensive reference ideal for engineering students, as well as researchers and practitioners working in thermodynamics. HoSung Lee is a Professor in the Department of Mechanical and Aerospace Engineering at Western Michigan University. His main areas of research include energy conversion, and thermoelectrics with particular focus on optimal design and applications, thermal design and automotive engine cooling and fuel efficiency. He also teaches numerous courses in the area of thermodynamics and heat transfer.